We are the original manufacturer and owner of the product. 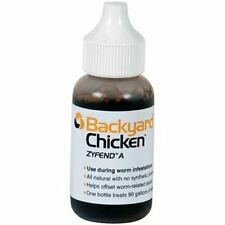 One 30ml bottle of Zyfend A will treat 90 gallons of water. Directions: Shake well before use. Clean waterers regularly. 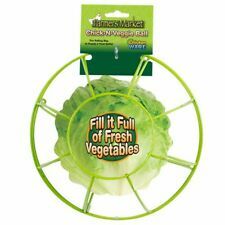 Large enough to fit a full head of lettuce, it rolls and entertains chickens while providing a healthy treat. Fun Rolling Treat Buffet Holds A Full Head Of Lettuce. This is prohibited by law. USEFUL LINKS. Add nest eggs to your chicken's nest box to encourage laying and reduce pecking. Quality ceramic eggs from Happy Hen Treats are excellent for many useful purposes! Place ceramic eggs inside nest boxes to encourage egg laying. Uvl callosan 30ML. Callosan es un callicida para gallos de pelea. frasco con 30ml. mantiene en buen estado las patas de los gallos. NON GMO Cracked Corn, Milo, Wheat, Oats, Barley. ScatterFlock Frenzy Chicken Treat on the ground. Always provide plenty of fresh, clean water and grit. Give your hens an all natural NON-GMO treat. Great way to interact with your chickens. UVL Sulfatec DIGESTIVE ANTIBIOTIC 500 grams Sulfatec is the specialist in diseases of digestive origin and bacteria susceptible to its formula. Modes of use: generally i gram per liter of water. sulfatec is effective in diarrhea of ​​bacterial origin, not to be confused with diarrhea of ​​viral origin . Biotec Powder 500 Grams Bag. (Big Bag) Prevents And Treats Crd. Dosage: Teaspoon Per Gallon. Easy Fill Chicken Toy. We know you are anxious to receive your stuff. We know you are excited to receive your stuff. This is prohibited by law. USEFUL LINKS. Recently Added. 6 OZ Mealworm & Seed Treat Square Proved A Nutritious Snack While Reducing Boredom & Pecking Contains Black Oil Sunflower Seeds Sunflower Kernels & Dried Mealworms Use With Happy Hen Treats Treat Basket #17085.6 oz mealworm & seed treat square proved a nutritious snack while reducing boredom & pecking contains black oil sunflower seeds sunflower kernels & dried mealworms use with happy hen treats treat basket #17085. Ever see a chicken drool?. You might when you give themFlock Frenzy Sunflower Delight™. Chickens find our NON-GMO grains, sunflower seeds and oyster shell blend irresistible! Simple and delicious, give your chicks the best from Chick-O-Rama! Make identifying chickens easy! Bands are easy to apply and work similar to key rings. Uncoil spiral band and place the bird's leg inside. Do not allow a tight fit. There's no need to refrigerate these tasty treats, so they make the perfect ready-to-go training and taming treat. Ideal for on-the-go training, taming or treating. Key Benefits. Nest Box Bucket Kit, Take An Ordinary 5 Gallon Bucket and Transform It Into A Nest Box. 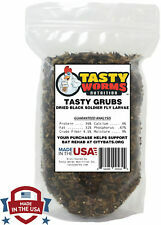 Dried black soldier fly larvae are a less expensive option compared to live but are still an excellent protein source for bluebirds, woodpeckers, robins, and other wild birds. They also make an excellent treat for chickens, turkey, and ducks. Much easier to put on than traditional poultry leg bands. Bands are numbered 1-8 in each color. Check-Out Now! This is a great item, it is a treat toy for your chickens. 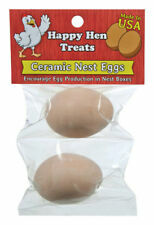 Happy Hen Treats Ceramic Nest Eggs are excellent for many useful purposes! Place ceramic eggs inside nest boxes to encourage egg laying. The use of ceramic eggs is an excellent way to retrain hens that may have developed a habit of laying eggs in less suitable locations. Treat Square Basket Comes With Chain & Hook To Hang In Your Chicken Coop Use With Happy Hen Treats Treat Square #17080.Treat square basket comes with chain & hook to hang in your chicken coop use with happy hen treats treat square #17080. (Designed to fit most poultry wire. Built-in lip minimizes spilling. Cup holds 14 fl oz. Guam, Puerto Rico, Virgin Islands, etc.). 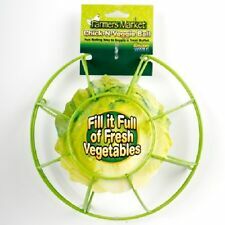 You are bidding on a New Little Red Hen Treat & Vegetable Holder Spiral For Chickens & Roosters. Made by Chicken Ware. 6 1/2x 6 1/2 x 8 1/2. Keeps Treats & Veggies Clean & Dry & engages the chickens with foraging activities. Free Priority Shipping in the USA! 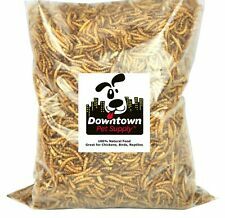 Happy Hen Treats 17006 Mealworm Poultry Treats, 5-Lbs. 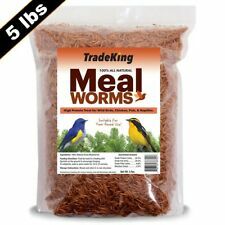 5LB, Mealworm Frenzy, Give Your Chickens Treats They Love Without The Inconvenience Of Dealing With Live Worms, All Natural Dried Mealworms High In Protein, Store In A Cool Dry Place, Not For Human Consumption. 5 out of 5 stars - Happy Hen Treats 17006 Mealworm Poultry Treats, 5-Lbs. 1 product rating1 product ratings - Happy Hen Treats 17006 Mealworm Poultry Treats, 5-Lbs. 2 LB Mealworm & Corn Party Mix Contains Natural & Healthy Ingredients That Chickens Love To Eat 100% Natural Perfect For Training Or Taming Chickens Shelled Corn & Dried Mealworms Allergen Information Product Is Produced In Facilities That Use Peanuts Tree Nuts Wheat Egg Milk Products & Soy Thus May Contain 1 Or More Of These Ingredients.2 lb mealworm & corn party mix contains natural & healthy ingredients that chickens love to eat 100% natural perfect for training or taming chickens shelled corn & dried mealworms allergen information product is produced in facilities that use peanuts tree nuts wheat egg milk products & soy thus may contain 1 or more of these ingredients. Healthy Hen LB Fruit Frenzy High Calorie Poultry Treat Fortifying Mix Of Fruit Based Blend With Papaya Pineapple & Organic Honey Higher Calorie Supporting Breeding Hens & Promoting Weight Gain Tropical Fragrance Bag.Healthy Hen Bag. Feeding Directions: Feed by hand or in a feeding dish. Sprinkle on the ground to encourage foraging. To rehydrate, soak in warm water for water for 10 to 15 minutes. Suitable for year round use. Keep that coop and its accessories clean as a whistle! Happy hen treats party mix! Corn and mealworms mixed into a treat your chickens will love! 2 pounds per bag! Encourages egg production in nest boxes. An excellent tool to retrain hens that may have developed a habit of laying eggs in less suitable locations. Can be used to test for broodiness. Discourages chickens from pecking and eating eggs. All classes of poultry love to eat bugs! Feed ½ to 2 tablespoons of Harvest Delight per bird daily depending on their size. When feeding coarse grains, always provide a source of natural stones or free choice access to Manna Pro Poultry Grit. 32 Count One Size Fits Most Breeds Zip Leg Band Use To Identify Age Of Your Chickens 4 Assorted Colors.32 Count 4 Assorted Colors. Happy Hen Treats - Herb Pecks - 12 oz. Herb Pecks. Happy Hen Treats. Net Wt: 12 oz.